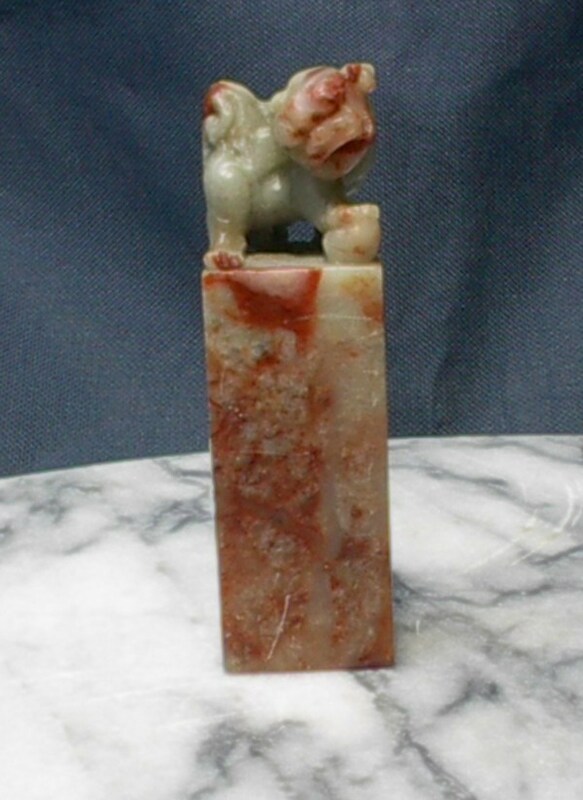 Jade Lion on pedestal with the letters "APF" on the base. Used for initialing documents. The color striations of the jade are shades of green and red. In almost excellent condition. Just some hairline surface scratches, which show up extra bright because picture was taken in full sun. You can't see them in normal light. No other visible flaws.